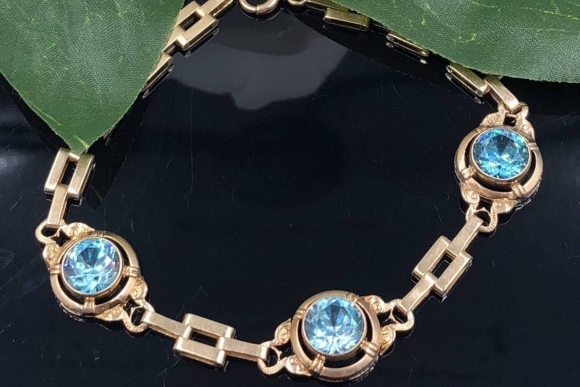 This 10K yellow gold bracelet is beautifully set with three round natural blue zircons measuring 7.5mm x 4.5mm for an estimated total weight of 6.75 carats. 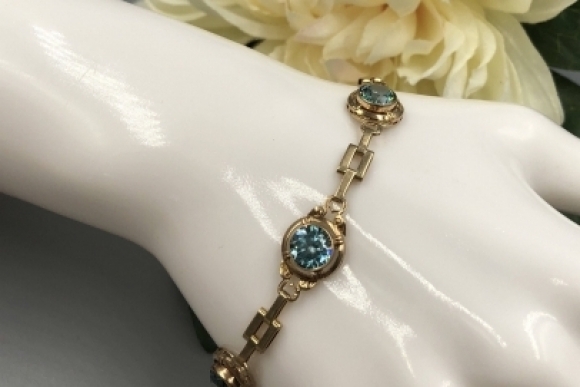 The bracelet dates from the Retro Moderne era of the 1940s, and has a fine rectangular link contrasting the curving scroll work adorning the blue zircons. The zircons are a beautiful steely teal blue in color. Natural blue zircons are one of the few colored gemstones with high dispersion, creating brilliance and intense flashes of "fire", which the three stones have in abundance. 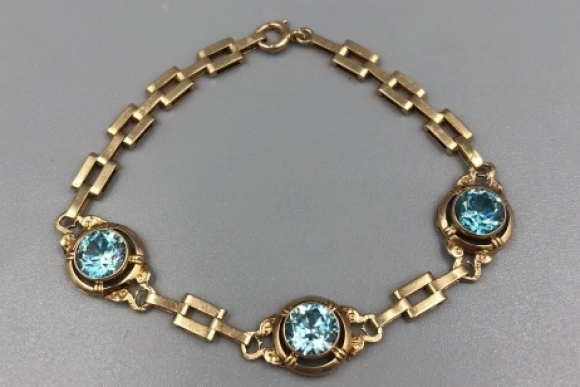 Blue Zircon is also the traditional birthstone for December making it an ideal gift! 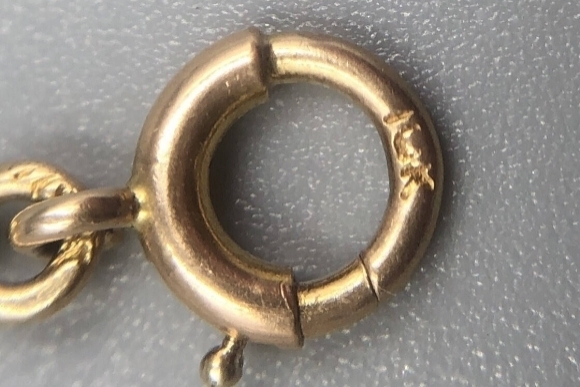 Secured by a spring ring clasp. 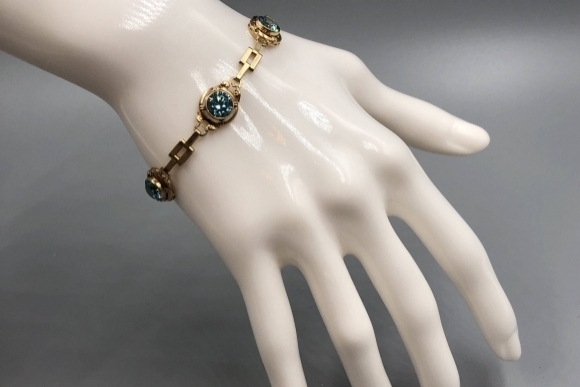 Both the bracelet and clasp are marked 10K. 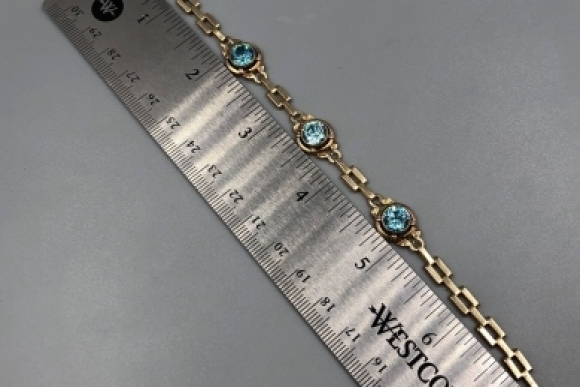 This bracelet measures 1/2" at its widest, and is 7" long. The bracelet weighs 7.2 grams. Good condition, with abrasion of the facet junctions which is typical of zircon. 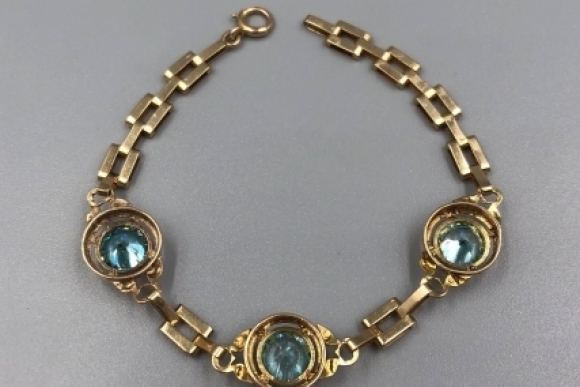 Why buy from Monte Cristo's Estate & Antique Jewelry? 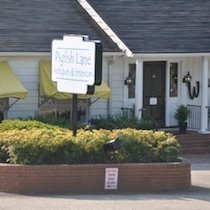 Each piece is hand-selected by a trained gemologist for its quality of materials, design, and workmanship. 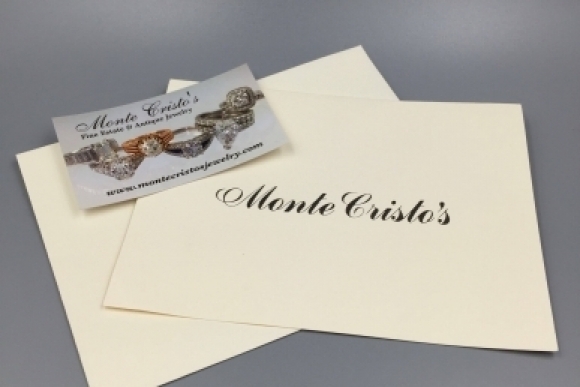 Monte Cristo's estate jewelry are heirlooms of yesterday, and are carefully cleaned and restored if needed to create ongoing history entwined with its new wearer, making it an heirloom of tomorrow. 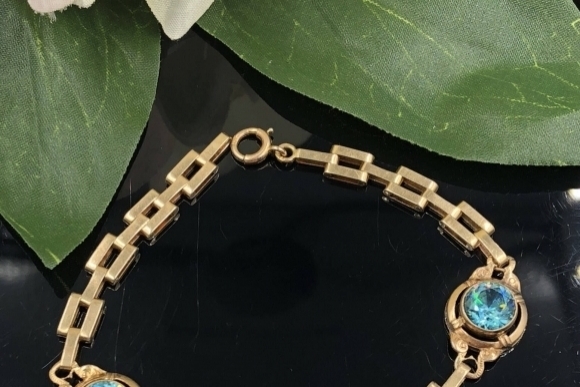 There is a particular joy that only comes through uniting a beautiful and special piece of jewelry with an owner whose heart beats a little faster upon wearing their new jewel! 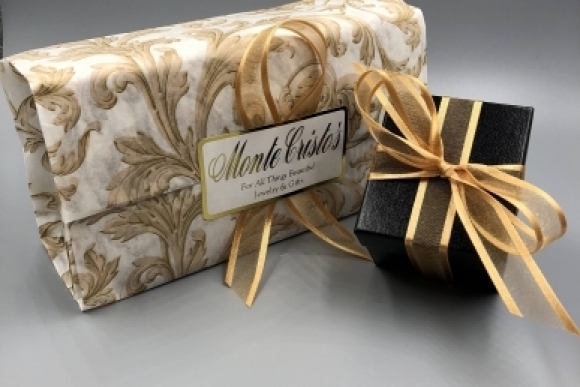 Each piece is carefully and securely packaged in a gift box, and tied with a gold ribbon. Presented with the care and attention to detail that gift giving deserves.